I'm back! And by back I mean I'm barely able to keep my eyes open and am in desperate need of coffee. Lots of coffee. I have meetings all day with a bunch of guys from Japan. Perhaps I need something more than coffee? Dear 5pm... where the flip are you? I actually love my job, so I'll just sit here, lay as low as possible today, and continue to refill my coffee cup. 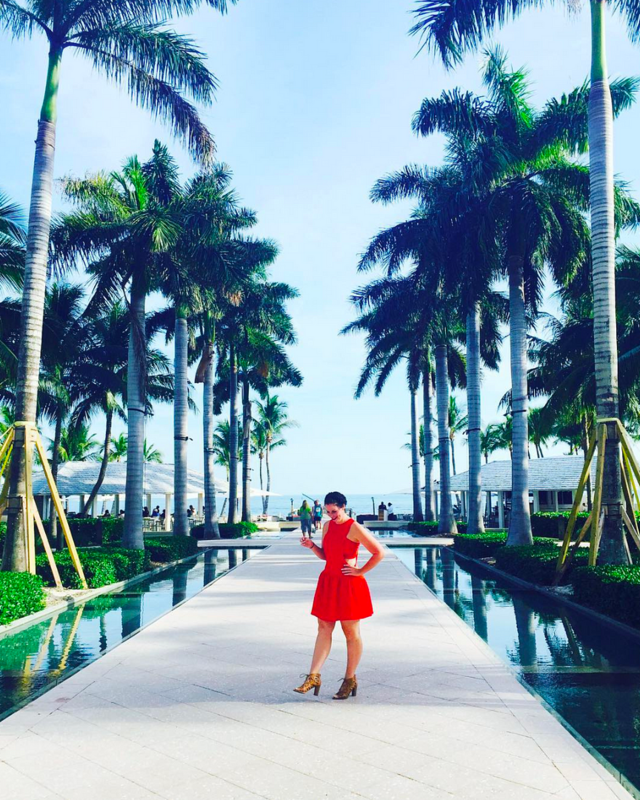 I'm really excited to be here doing a trip recap because I rarely get to go on trips! I'm not that lucky to have been born with the "saving money" gene, thus, I generally do stay-cations! On Friday, in true "I'm-always-late" fashion, I was running around like a chicken with my head cut off trying to get to the airport on time. As I hurried to gate B7 I realized I didn't even need to see the gate number to know that I was waiting to board the correct flight. 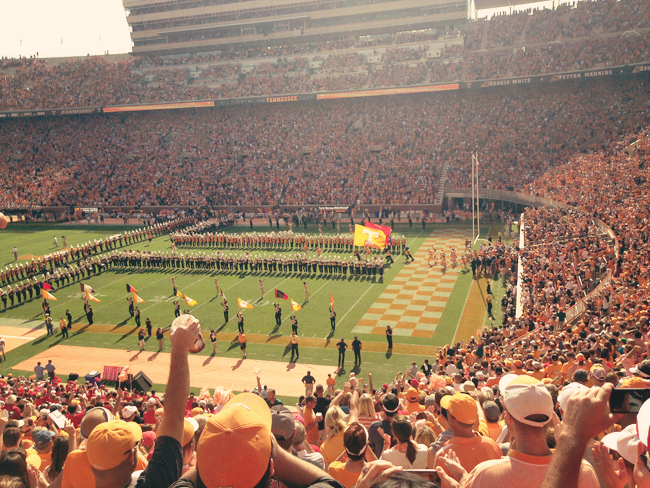 Everyone was decked out in Tennessee Volunteer Orange! It was so beautiful! 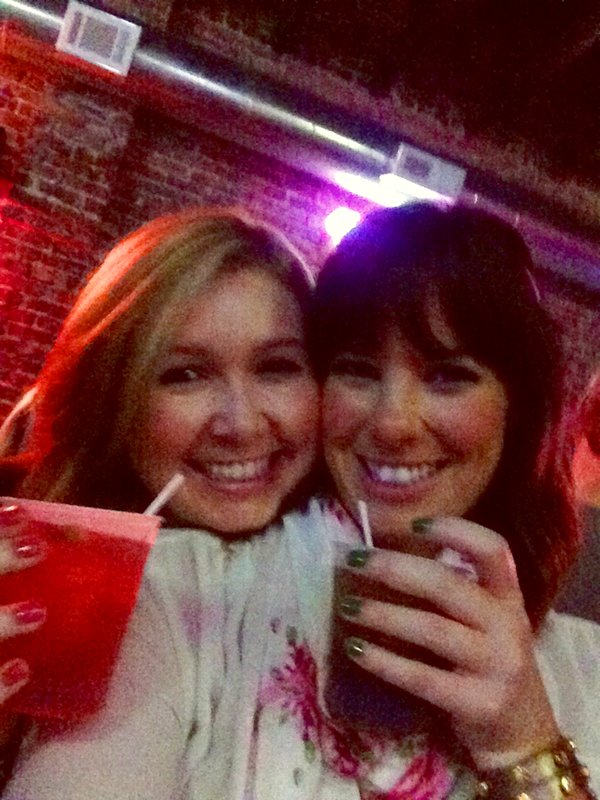 My best pal in all the land, Magen picked me up from the airport and we were off to eat and drink and sing Rocky Top 1231231 times. And then those little fireball guys above, combined with several more of those little guys (not pictured) led to a broken iPhone and a sad Sarah. Saturday morning I woke up to a broken iPhone (yes, I had forgotten), a broken purse (who knew you could totally demolish a purse while drinking? ), but not (yet) a broken spirit. 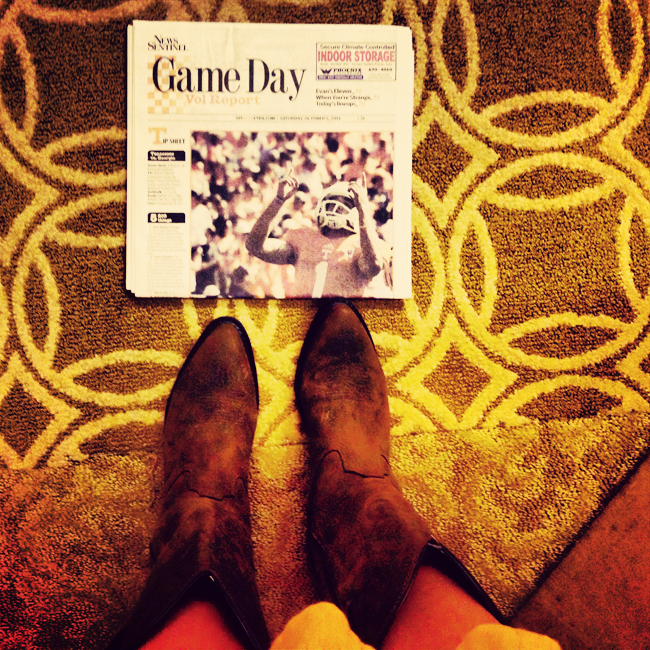 It was GAME DAY BABY! 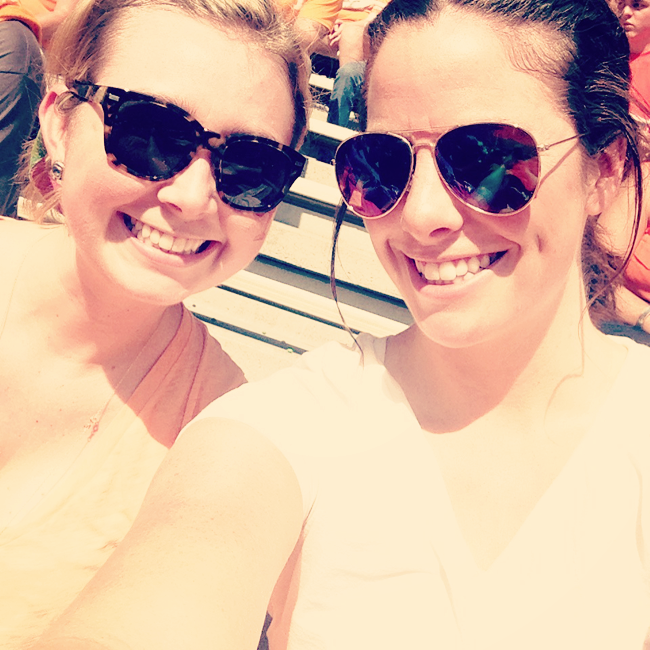 We lost and I melted from the heat. Like, melted. Like the wicked witch. And we lost in overtime and my heart was broken. Just to recap, that's a... broken heart, broken purse, broken iPhone. That doesn't mean I didn't have a fabulous time seeing Magen, and then catching up with my dear friend Lisa on Sunday night! I flew back on Monday, then was smart enough to take a vacation from my vacation on Tuesday. 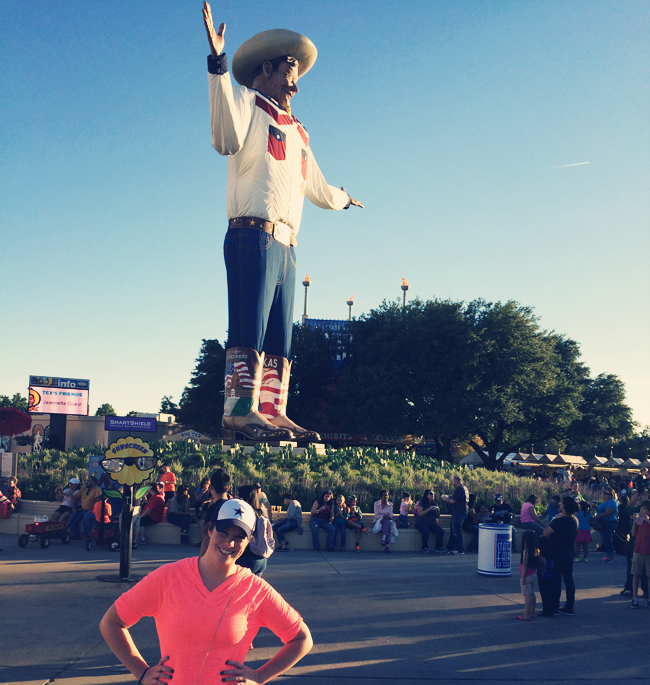 I decided to take my very first Texas State Fair experience! These may be some of my favorite pictures I've taken, like, ever! I don't ride the rides at a fair if I can help it. Although I'm all about roller coasters at amusement parks, something about a high-speed thrill ride on wheels doesn't sit right with me. So I play games. Shocker, I'm sure you would never have guessed, right? This was my favorite ride. 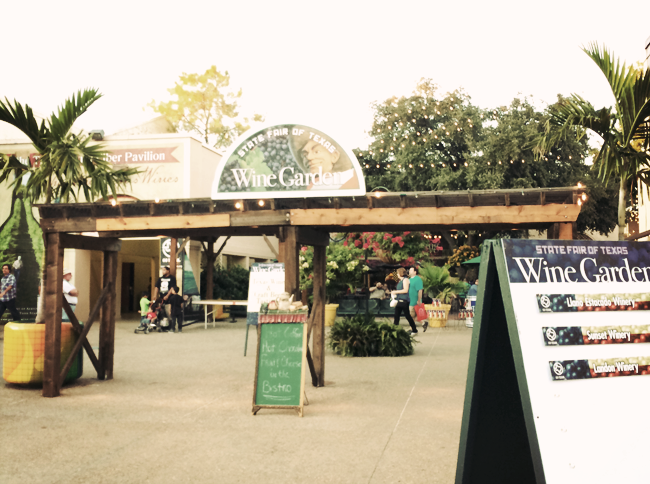 The wine garden. And of course I won the basketball game in just one shot attempt. Duh. I can't wait to go back as soon as possible! Hopefully with Helene next time! How was everyone's weekend? Happy three day work week to me!! Can you send me that monkey, please? Thank you. I really really hate we didn't get to meet up while you were here. I'm glad your phone was broken ONLY because I was going to mad at us for not coordinating better, but thus you have an excuse :) That just gives us a reason for a next time!! XOXO Glad you had a great trip! I just found your blog and love it. You seriously won a fair basketball game?! I thought that was physically impossible. My boyfriend is a Tennessee fan and that game truly was a heartbreaker. Such effort. Looks like you had a great time! Except the TN game, but we won't talk about that anymore. I love fairs so much, can't wait until the NC state fair next weekend. This Alabama fan really wanted you to beat Georgia. I was hoping yall would knock them down a peg or two. So close! 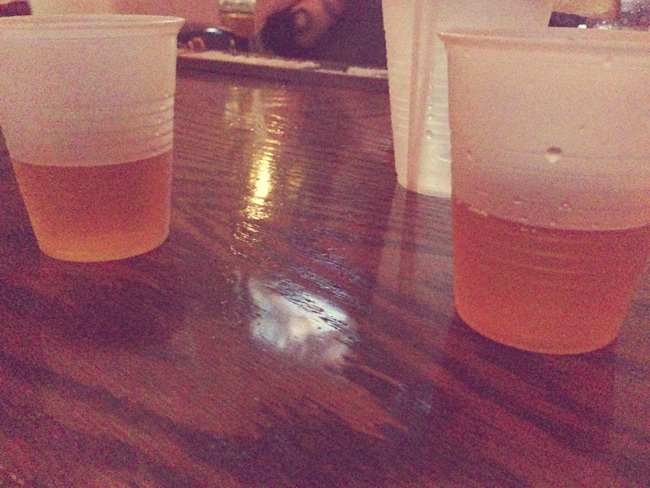 Bu bu but... Fireball was involved in my phone's death too. Why is this delicious nectar of the gods turning on us? yes yes yes we will go back together! i still can't believe we were both there. im sorry y'all lost but still looks like you had a really fun time. your fair picks are WAY better than mine. and im not happy with the new big tex. he looks wonky. It looks like a really fun time. I love love love going to football games, the whole 'melting' thing, not so much (though dear god do I know a lot about it). Sooo I was at a wedding for the majority of the game. I head the last 5 minutes of the 4th and all the overtime coverage on the radio. (which made me glad that I didn't get to watch it.) Such a heartbreaking loss! Also, I had NO idea that players stayed at hotels either until last weekend. Before the wedding, I was at a conference in Murfreesboro. The entire MTSU team was staying at our hotel, which made me wonder if that was normal... Apparently it is. Huh, who knew? 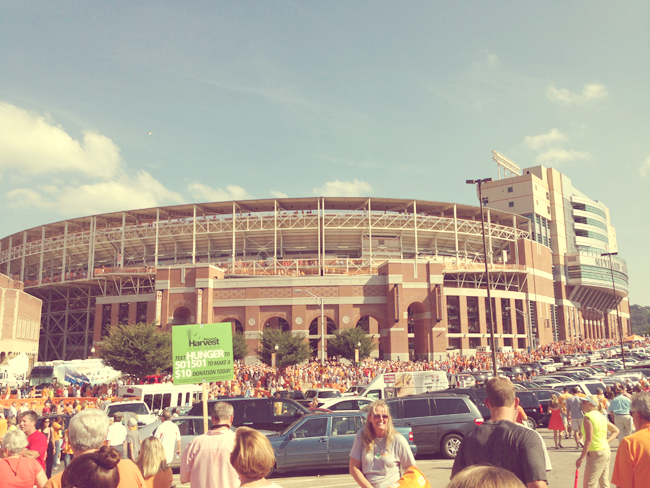 Sorry your Vols lost (and yes I'm being serious!) but glad you had a fun weekend away! Also? 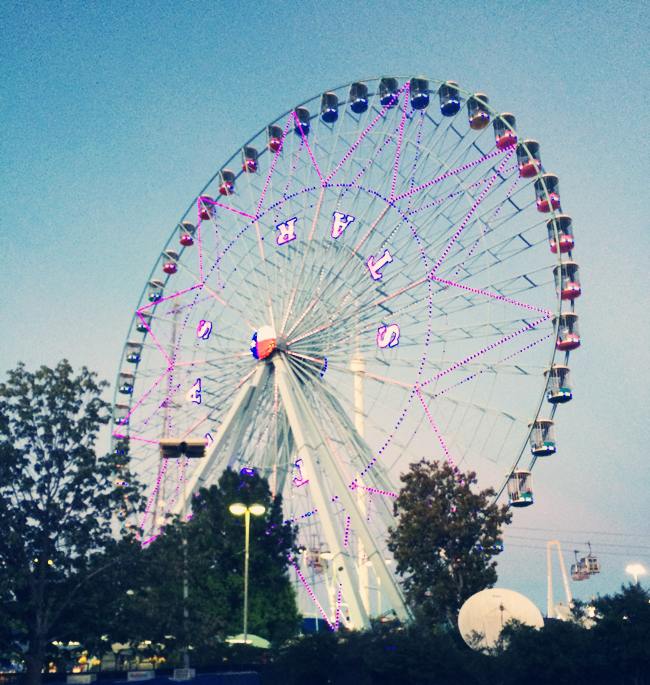 I need to come to Texas... there are sooo many things I want to do there and the State Fair is one of them! That striped sock monkey is awesome! As is that pineapple drink. 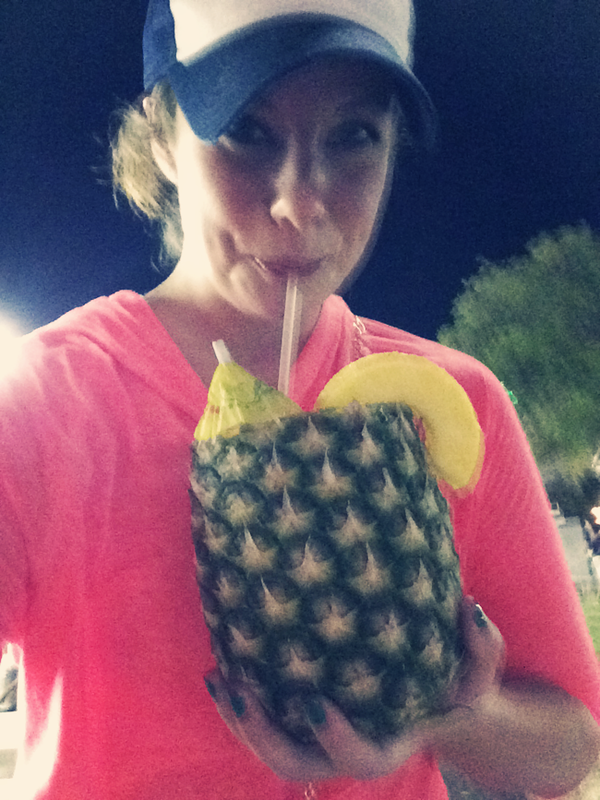 We have a bar here in town that sells this amazing pineapple concoction in a pineapple. I want one now. 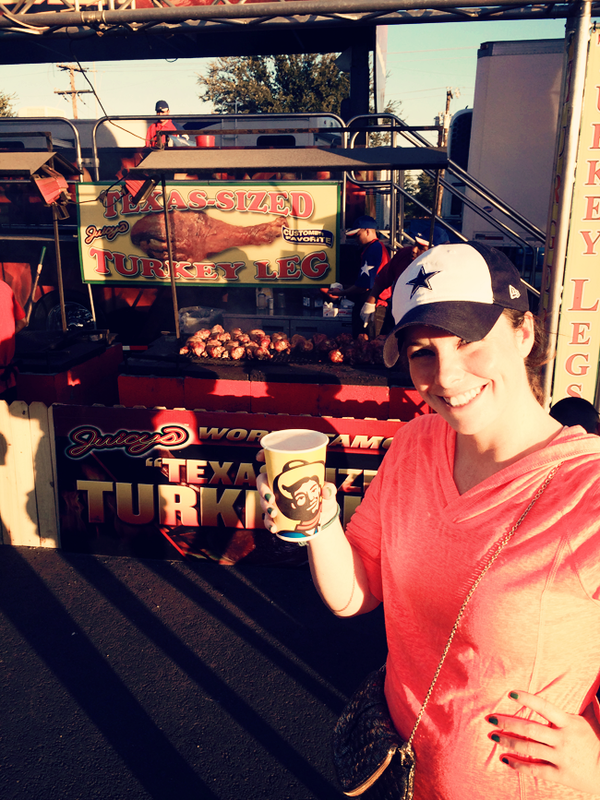 I am totally jealous of your Texas State Fair experience, you rock!!! Looks like so much fun! So glad you had a great trip! 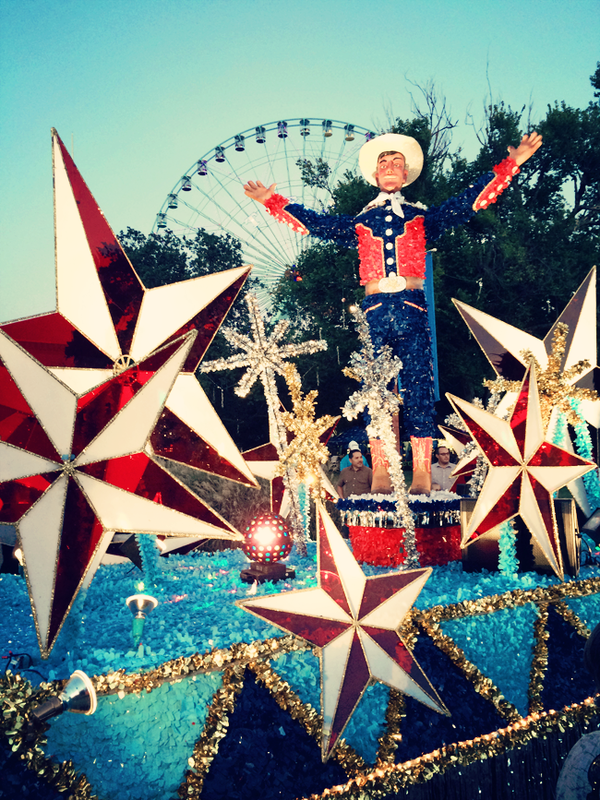 Seeing photos of the Texas Star takes me back to my childhood. Oh, how I miss that Texas State Fair. Broken stuff notwithstanding, it sounds like a pretty good weekend! gimmie the sock monkey, gimmmmmmie! We didn't go because of the freezing wind and rain over the weekend but it looks like so much fun!! So glad you had a great time despite all the brokenness... Your pictures look awesome too! LOVE THE FIRST ONE. pretty sure I liked it on instagram! Also, I'm dying to go to an awesome State Fair. I've been to some fairs, but none to the magnitude that I'm sure they are in the South & Texas (I never know if that's considered the south!) hahah Welcome back to the "real world"! 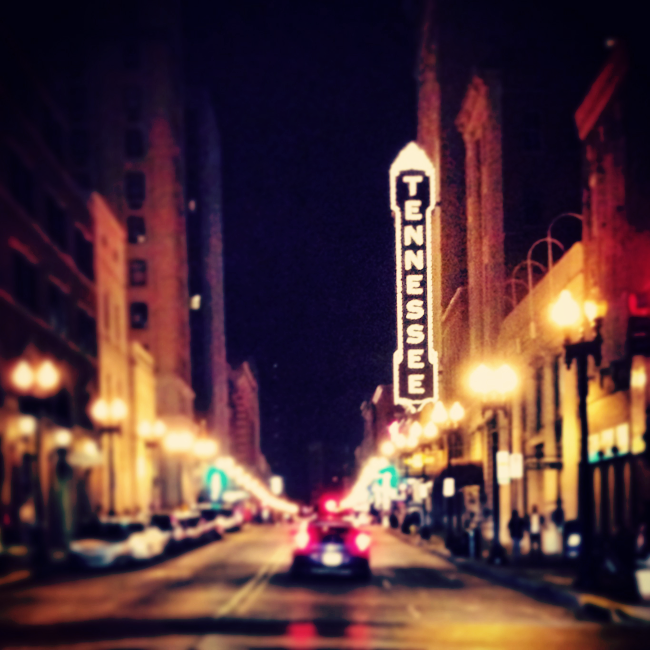 Were you in Knoxville? That sign and that restaurant look familiar! It looks like you had a great time! Minus the broken heart, iphone and purse lol..love the giant sock monkey!!! ok, your dimple is the cutest. and realllly dumb question - those are YOUR bangs right? i seriously love them. Can I come play at the Texas State Fair? Do they deep fry everything? So many questions. 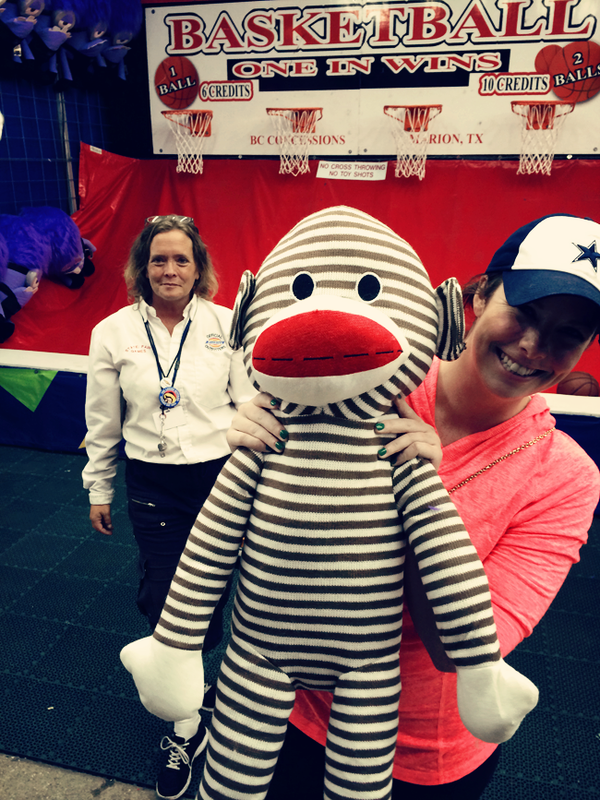 I love that giant sock monkey! 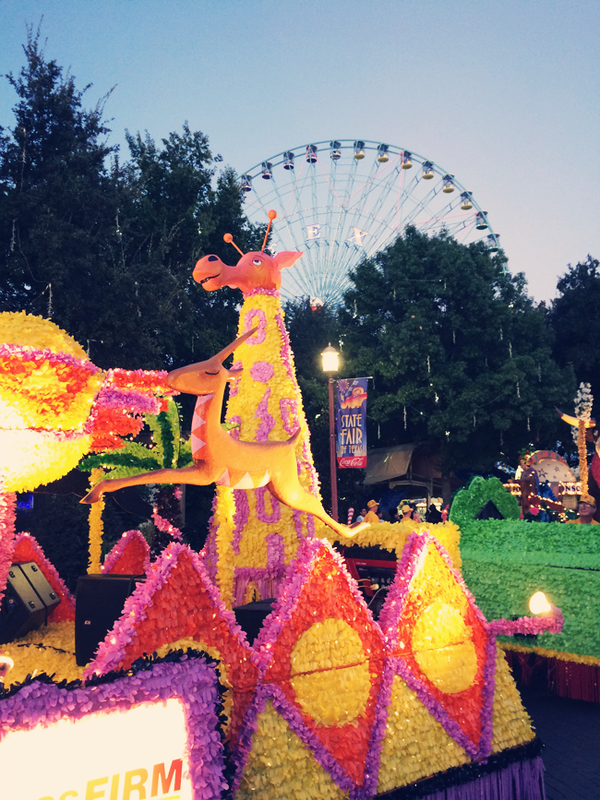 I did a post on our state fair too. They're always so much fun. Glad you had a nice vacation! The TX fair looks so cool. And you won a sock monkey?! AWESOME!